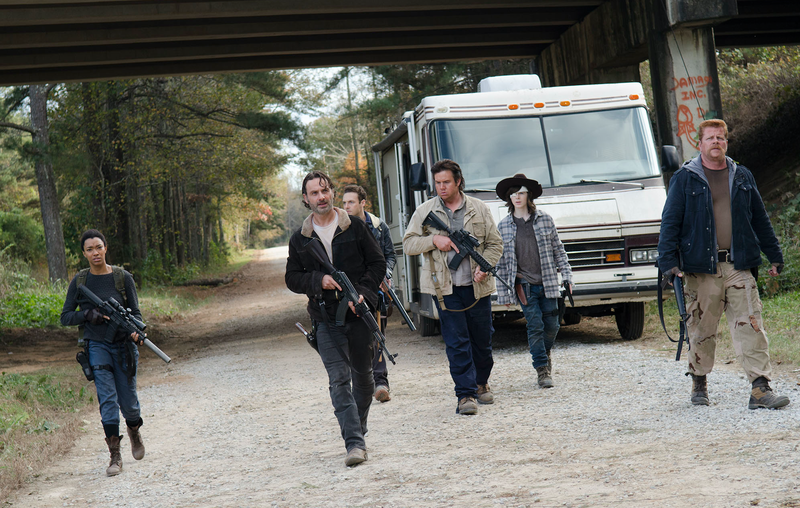 The Walking Dead‘s suspenseful and terrifying season six closing episode, ‘Last Day on Earth’ has delivered on all the hype – but left some fans frustrated nonetheless. 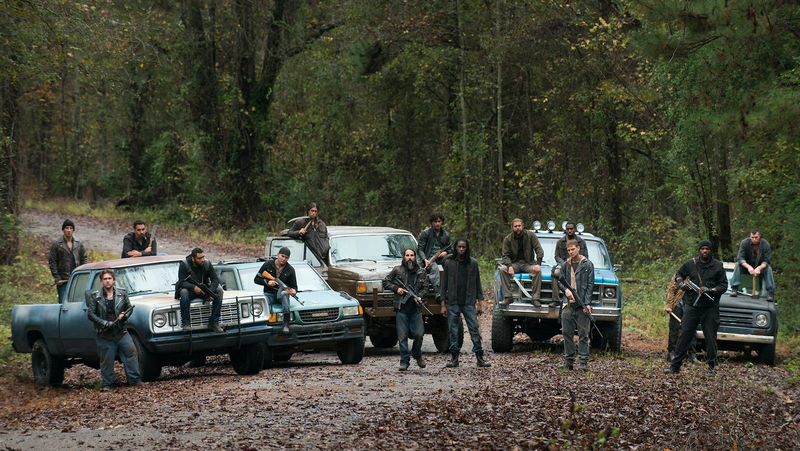 ‘Last Day on Earth’ mostly followed Rick, Carl, Abraham, Eugene, Aaron and Sasha on a quest to get urgent medical attention for the pregnant Maggie, who collapsed in pain at the end of the last episode. However, every route to Hilltop (where the group conveniently found a baby doctor earlier this season) was blocked by Negan’s men. Rick chose preserving the lives of his people over fighting his way through, but each time the group turned around to find another route to Hilltop they only found more Saviours. Each road blockage increased our anxiety tenfold, until we reached the horrifying climax: the group captured and weaponless and the arrival of ultimate baddie Negan (played by Jeffrey Dean Morgan). We had been experiencing heart palpitations for the best part of eighty minutes (with ads) and then Negan delivered an wonderfully evil, charismatic ten minute monologue. We listened to every word in silent fear. It was the moment that comic fans had been dreading, and the moment television fans finally understood why the name ‘Negan’ is always said in hushed, scared tones. Finally, after lining up Rick’s group (including the already captured Glenn, Michonne, Daryl and Rosita) and then playing the most tense game of ‘eenie meenie minie mo’ there ever was, The Walking Dead cheated us out of learning who was the victim of Negan’s weapon Lucille (a bat wrapped in barbed wire). The terrifying moment was shown from the victim’s point of view, meaning Negan killed someone, but we won’t find out who until season seven. After putting me through more anxiety than I’ve ever felt while watching TV, I don’t even know who met their end at Negan’s hand. There’s a strong likelihood I might have to go through the same ordeal again in October when season seven airs. Damn you, Walking Dead. The Walking Dead is just television, but it is phenomenal television in how it can affect the viewer. After this almighty closing act, season seven is going to need something spectacular to keep up the pace. We hope it delivers. 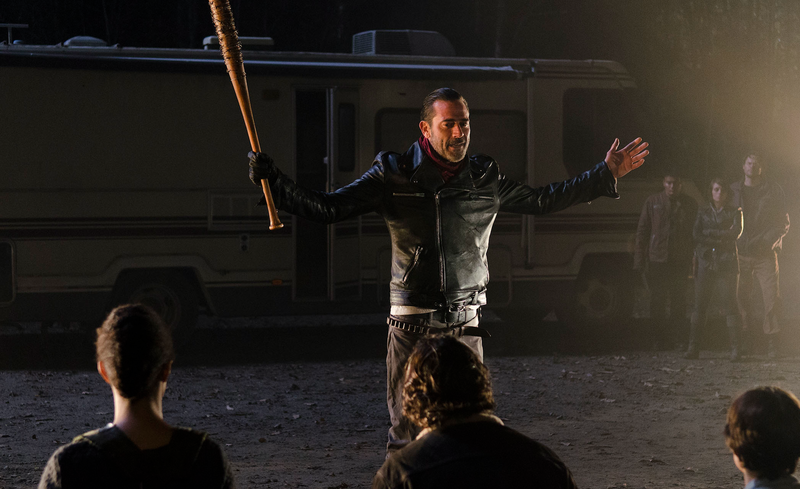 The Walking Dead will return to FOX in October, when we will finally discover the target of Negan’s wrath. Who do you think Negan killed in the season six finale? Vote here!